In December 2016 director Sanjay Leela Bhansali started preparing for his biggest film to date. Inspired by an epic poem written by Malik Muhammad Jayasi, the film was titled Padmavati and was slated for December 1 release. 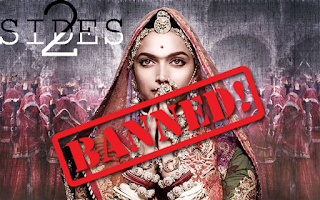 The Karni Sena, founded in 2006 by Lokendra Singh Kalvi, and earlier noticed around 2008 when it opposed Ashutosh Gowariker's Jodhaa Akbar for claiming that Jodhaa was actually Jehangir's wife, started protesting the release of the film. On November 10 2017, the Supreme Court dismissed a plea seeking a ban on the release of Padmavati. Meanwhile, the film’s name was changed to first Padmavat and then to Padmaavat. The makers of the film delayed the release of their film as CBFC withheld its certificate on a technicality. Rajasthan, Gujarat, Madhya Pradesh and Haryana governments had banned the movie saying its release may pose law and order problems. 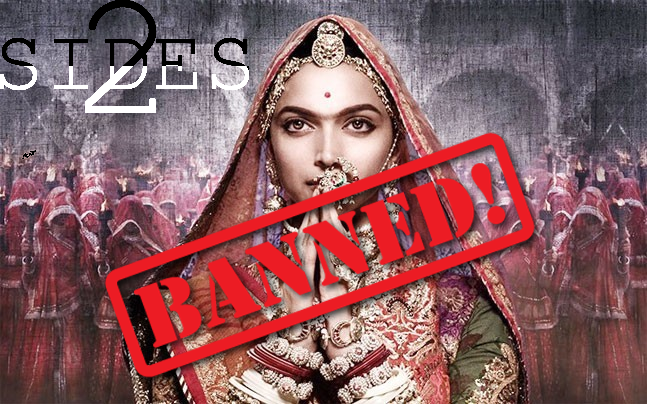 On January 18, 2018, the Supreme Court stayed the ban on Sanjay Leela Bhansali’s Padmaavat imposed by four states, ensuring an all India release. Pleas filed by Rajasthan and Madhya Pradesh governments seeking a reversal on its earlier stay on the ban on the film’s release were also dismissed. The controversial movie finally released to theatres on January 25, 2015, with a U/A certificate after the filmmakers incorporated the five changes suggested to it by the CBFC. The Karni Sena is agitating on the pretext of Padmavati distorting historical facts and offending the sentiments of Rajput groups. However, Padmaavat is a work of fiction based on a similar work of fiction, Padmavati. Very little concrete historical evidence is available corroborating the events as narrated by the movie or in the poem. Further, the Queen in the story is not a Rajput by birth, but rather a Sinhalese. The Rajput community has alleged that the film depicts an “amorous relationship” between the Hindu Queen Padmavati and the Muslim invader Alauddin Khilji. Bhansali and his team have, however, dismissed the claims on several occasions and have run full-page ads stating the same. Top union ministers have said Mr Bhansali should consult with opponents of the film and historians to arrive at a version that is acceptable to them all. Filmmakers and artists have condemned this is as a blatant violation of freedom of expression. The movie has been watched and cleared by the CBFC, the Mewar family, eminent historians and other stakeholders involved. The Supreme Court noted that fringe elements of 100 or 200 people cannot be allowed to hold an independent body like CBFC to ransom and set a dangerous precedent. The SC also said that the State cannot plead its inability to handle the hostile audience problem as it is its obligation and duty to prevent hostilities and protect the freedom of expression. Various bodies have accused the BJP government of MP, Gujarat, Rajasthan and HP of playing politics by pandering to demands of the Karni Sena to ban the movie and doing little to contain the violent protest. It was also noted that the protest had gained prominence in the backdrop of HP and Gujarat elections of 2017. Rajputs, amounting to 43.35 million people, form a sizable vote-bank in all of the aforementioned states. The Rajputs are a warrior clan defined by a fierce pride in their heritage and history. Regardless of historical facts, the Queen Padmavati story has been ingrained into the collective Rajput psyche as one of valour and honour even in the face of defeat. Since history, myths and such stories together are what defines and holds together any clan and asserts its moral compass, a high budget movie like Padmaavat which may show the Queen in poor light, strikes at the very root of the Rajput mind. The impact on a viewer by a 190-crore extravaganza like Padmaavati cannot be bested even by the best of an orally passed down version of the Rajput story. Many of the young and generations yet to come will form their opinion on the Rajput way of life based on the movie, hence any and all objectionable content in it will reflect forever upon the Rajputs. It is the duty of not only the state governments but also the center and the judiciary to protect the interests, traditions and sentiments of citizens of the country. Protests against the movie by Karni Sena and other groups started in January 2017 right from the beginning of its production and continues to date. It is thus not a political trick, but rather a last-ditch attempt to keep intact the culture imbibed in every Rajput and built over centuries with the blood and courage of thousands.